I took this photograph while I was on a fishing trip on Tunnel Lake, Ontario. 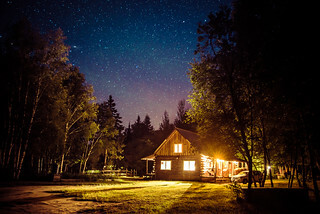 This cabin is one of my favourite spots to visit to get away from the city. The stars were even better after we shut off the generator, leaving us in complete darkness until the morning.